Andrew Butchart was the ‘best of British’ at the Morrison’s Great Manchester Run as he delivered another fine run south of the border. The Scottish National XC champion, who went to the World Cross with GB and NI, clocked a new PB of 29.09 as he headed the British field as well as none other than Haile Gebrselassie. That time takes Andrew into joint fifth place in the Scottish all-time list for road race 10ks and, to put it into context, is one of the best by a Scot for almost 20 years. Andrew Lemoncello is second on that list with a 28.47 run from 2010. Butchart ran 29.17 when winning the Leeds 10k back in November and his performance in Manchester came after a spell at altitude at Font Romeu in the Pyrenees after a tough World Cross experience in China. It takes him level with Tommy Murray in the all-time list and just ahead of Chris Robison. The Central AC athlete was just one second behind the 29.08 posted by Nat Muir back in 1987. The list is hosted on the Road Running and Cross Country Commission website archive. ‘I wasn’t aware of that and I wish now I’d sprinted a bit more at the finish because my coach, Derek Easton, is always talking about Nat Muir,’ laughed Butchart, who finished seventh overall with Haile Gebrselassie in 16th. ‘Maybe if I hadn’t been celebrating as I crossed the line . . . that was really just because it felt like a British race by that stage. British plus Haile, that is. ‘I knew the pace would be very fast because Bernard Lagat was going for the V40 world record at under 28 minutes. So I made sure I didn’t go with that pace but I’m very pleased with the PB. ‘I’ve had three weeks at Font Romeu with Dale Colley from Central AC and put in some hard training there. It is something I’ve wanted to try and we will see now how the season goes. I will focus on 5000m on the track now – with a couple of 1500s and 800s thrown in. ‘As for the World Cross, I can’t explain how tough that was. I expected it to be but it was even harder than I thought it would and you begin to realise what it might take to be at that standard. I resolved there and then to up my training and work harder and that was the case in the Pyrenees. Following a 1500m race in Manchester this weekend, Butchart will head to Belgium on May 23 for a 5000m track race in which he’s liable to compete against Callum Hawkins. Andrew’s PB is 13.58 currently. 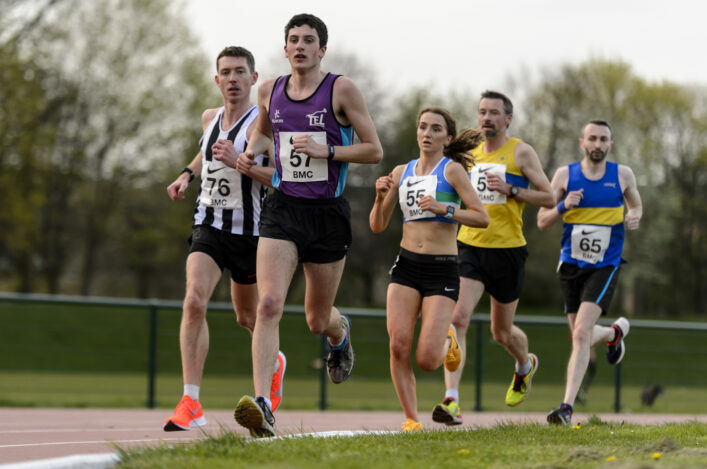 Shettleston’s Tewolde Mengisteab was 20th in Manchester with 30.25 while Corstorphine AAC’s Michael Crawley was at 30.47 for 30th place. 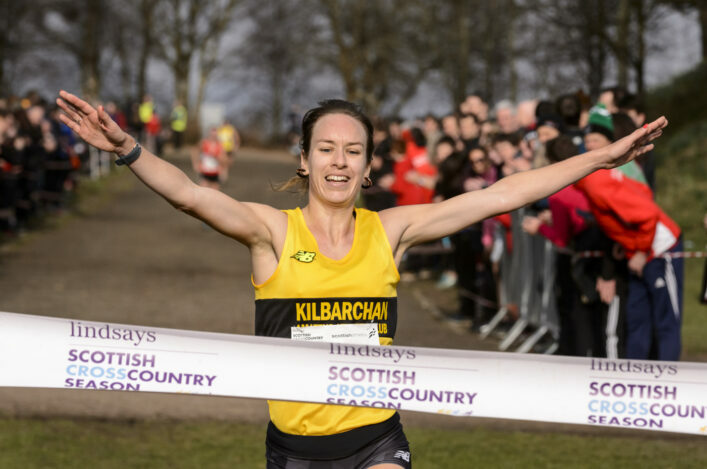 Beth Potter clocked 34.25 in the women’s race and that will take her to third in the Scottish rankings for 2015. Team Scotland duo Eilidh Child and Sarah Warnock were in action in Manchester as well – in the City Street Games part of the weekend. 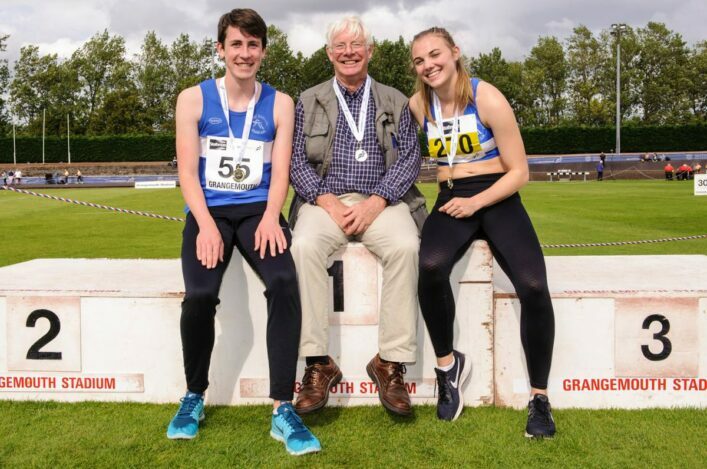 Eilidh raced the unfamiliar distance of 200m hurdles and was fourth in 26.23 in a race dominated by winner Meghan Beesley and Katarina Johnson-Thompson. It is understood Eilidh has been suffering from a slight hip injury and unfortunately that has now caused her to withdraw from Scotland duty at the Loughborough International on Sunday (17 May). Warnock competed in a class field in the women’s long jump and her best on Saturday was 5.96m for sixth place. Sarah is the Scotland pick for Loughborough. 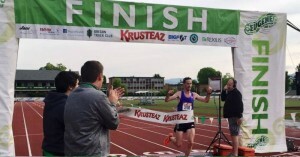 As Butchart impressed in Manchester, another Scottish endurance runner savoured that winning feeling in the United States. Arizona-based Andrew Lemoncello won the Eugene Half Marathon and set a new course record in the process with his run of 65.04. 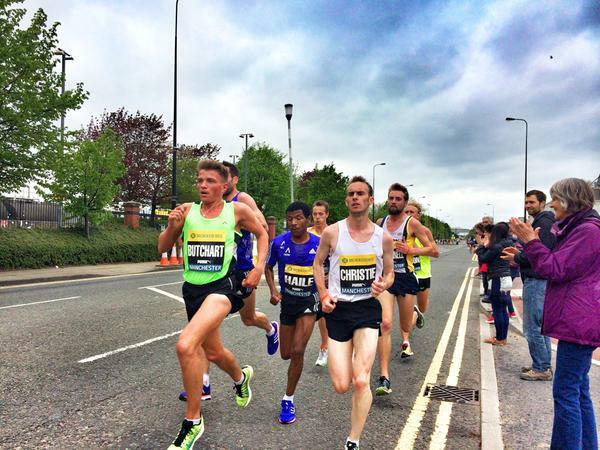 That takes Lemoncello to the top of the Scottish men’s rankings for half marathon for 2015 and it is a time which was only bettered once in the whole of 2014 – by Callum Hawkins when he made his debut at the distance at the Great Scottish Run in Glasgow with 63.06. 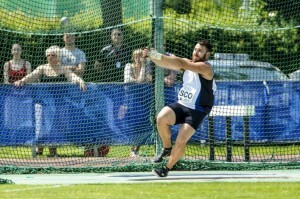 Mark Dry will represent Loughborough University against Scotland this weekend and he ‘warmed-up’ for the International event with a win in the British Premier League. 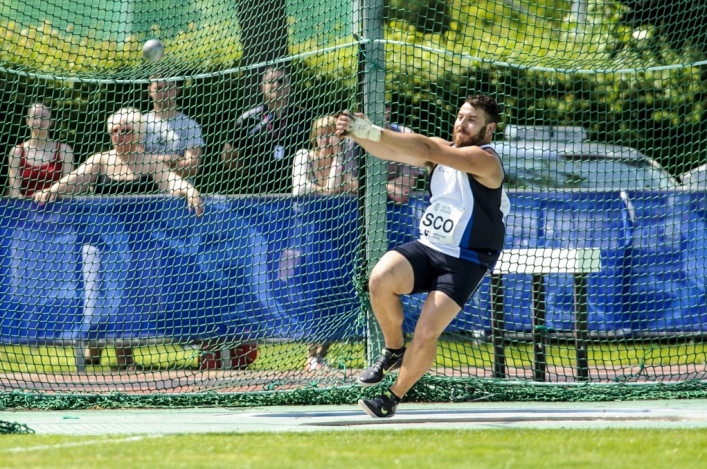 Throwing for Woodford Green and Essex Ladies, Mark was at 70.60 to take the competition at a match which featured a number of Scottish athletes as well as a Glasgow side. Lachlan Oates clocked 9.07.82 in the 3000m steeplechase for Glasgow for a Scottish rankings lead, with Grant Plenderleith doing likewise with his 47.04 run for Sheffield. Match result: Match 1 Sheffield 327, 2 Sale 289.3, 3 Shaftesbury 286.5, 4 Birchfield 286.3 & Enfield 286.3, 6 Woodford 272.5, 7 Newham 241, 8 Glasgow 177.